Looking for ST9715 MICR Printer Parts? Meet the ST9715: The perfect office partner offering all-around convenience and robustly secure MICR printing that fits just about anywhere. 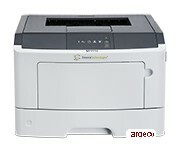 An exceptionally simple solution for hassle-free printing, the ST9715 is a network-ready monochrome laser printer featuring a fuser that warms up instantly enabling a time to first page as fast as 6.5 seconds and providing high-quality printing at a speed of up to 35 ppm on letter-size paper. You'll be pleasantly surprised at all the features packed into this powerful printer, including an impressive 800 MHz processor, 128MB of standard memory and integrated duplex printing. The front-loading supplies, a single-sheet priority feeder, and the addition of an optional paper drawer increase the ease-of-use. *All out of warranty contracts are subject to a 25% renewal fee. Print menu pages will need to be provided. Contract will start 30 days after PO is received. *20lb or 75 GSM Paper. Maximum input amount shown is the maximum capacity that can be used for non-MICR printing: high-capacity input trays may interfere with printing quality MICR documents. The maximum input capacity for MICR printing may be lower than the values shown. 1Average standard page yield value declared in accordance with ISO/IEC 19752. 2Maximum Yield estimate based on 3 average letter/A4-size pages per print job at approximately 5% coverage. Actual yield may vary.